In previous posts I’ve covered blog editorial calendars and programming blog content. Let’s move on to Twitter for a bit and look at how to structure an editorial calendar for Twitter. In reality, a Twitter editorial calendar is less “editorial” and more “planning.” Given that you’ve only got 140 characters to play with (only 120 if you want to leave room for ReTweets), it’s not like you’re going to create groundbreaking editorial content for your Twitter stream. Therefore, what I use Twitter for, and what many of the people I follow seem to do, is to curate links to content I feel that my Twitter audience will be interested in receiving. This can include my own content, of course, but will also include links to others’ content. I also make use of Twitter to get questions answered, take the pulse of my followers, and to do some (very limited) self-promotion. 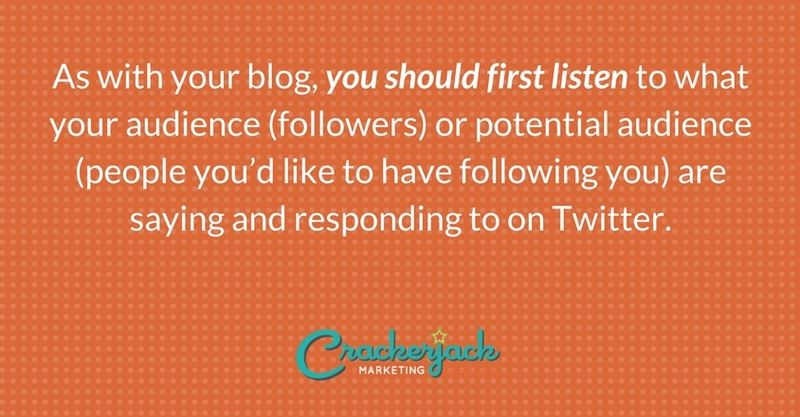 As with your blog, you should first listen to what your audience (followers) or potential audience (people you’d like to have following you) are saying and responding to on Twitter. A great tool to listen in on conversations quickly is Twitter For Busy People (t4bp) – from here you can read the last tweet of each of the people you’re following – or type in anyone else’s Twitter name to see who they’re following and what they’re talking about. So if you want to capture the same audience as, say, Chris Brogan, why not look to see what the people he’s following are saying (though with 120k+ friends there’s a lot to process!). Twitter tools like HootSuite, TweetDeck and Co-Tweet will all allow you to schedule Tweets for sometime in the future and to manage your schedule efficiently. I prefer HootSuite for the online interface; they provide useful stats when you shorten links using their Ow.ly link shortener (built into their interface), and they also have fantastic customer service. Perhaps based on the tweet volume of people you’ve investigated in step one, figure out how often you want to send a message to your audience. For my own @socialologist tweets, I aim to tweet 3-5 times per day on weekdays, mainly between 8:00 am and 7:00 pm ET. I’ve done similar schedules for clients, sometimes including weekends (if it’s a highly consumer-oriented brand) and sometimes considering other time zones (scheduling later in the day ET to capture West Coast, or overnight ET to get mornings in Europe). Using your Twitter platform, start to program out your tweets in the system. The example above is my own Pending Tweets list from a couple of days ago. I try to queue up roughly a week’s worth of posts at a time, though not necessarily all of the posts I’ll send throughout the week. I leave some room for adding in breaking news, topical posts, or the best of the day. I will also reschedule a post for a later time if I find something more relevant/timely to post close to a prescheduled post. I revisit my Pending Tweets most days to make sure that the links I’m sending are still relevant (what if new news superseded the info you’ve queued up? ), and to adjust out if I’ve tweeted anything that wasn’t on the schedule. In Thursday’s post I’ll cover sources for content to curate for your Twitter stream. In the meantime, please let me know in the comments if this is similar to how you manage your Twitter efforts, or if you do something different.